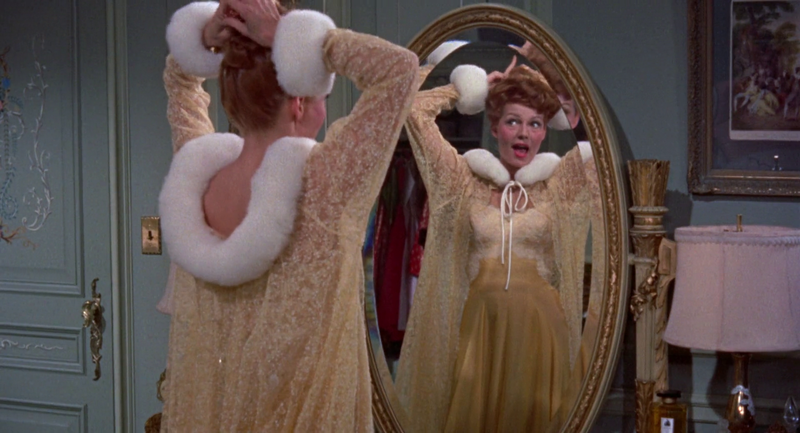 Vera Prentice-Simpson (Rita Hayworth) sings Bewitched, Bothered and Bewildered, a popular song from the 1940 musical the film is inspired to. 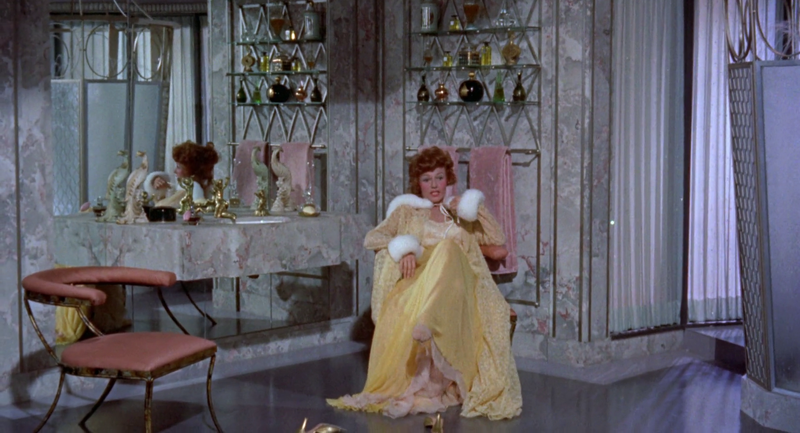 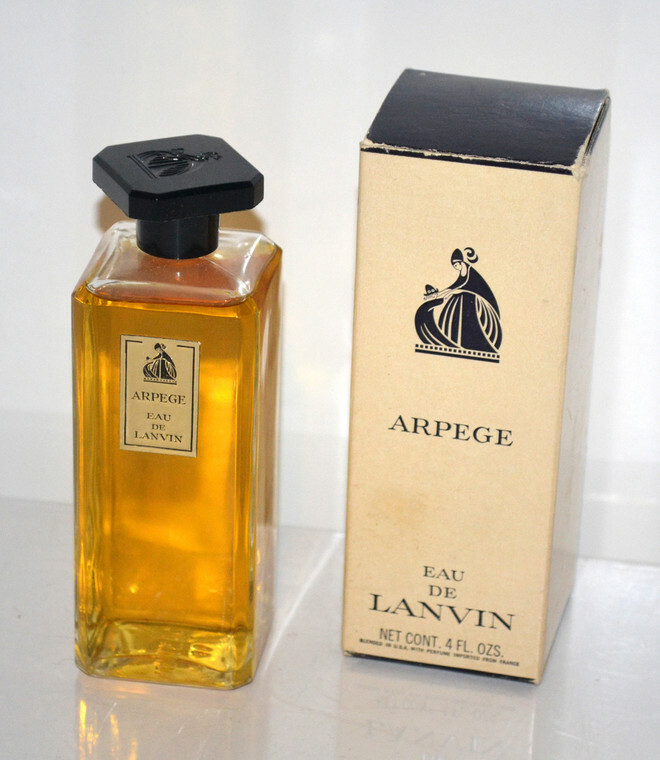 There are two big Lanvin bottles on her dressing table, possibly of Arpege, one of Hayworth’s favourite perfumes. 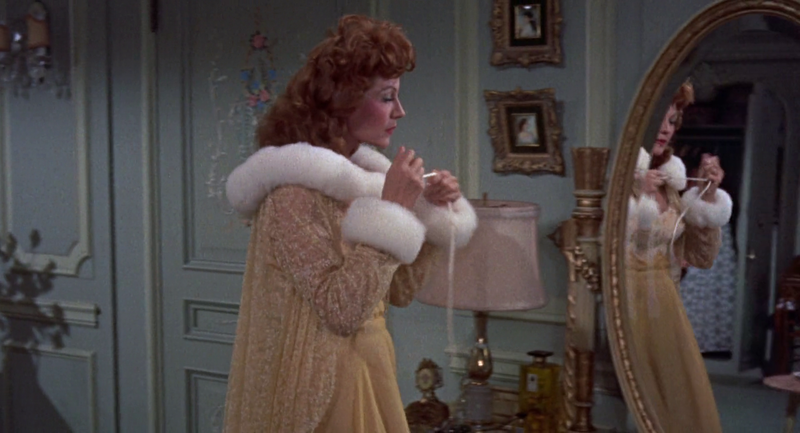 The black boule bottle of Arpege can be seen on the bottom shelf in her bathroom. 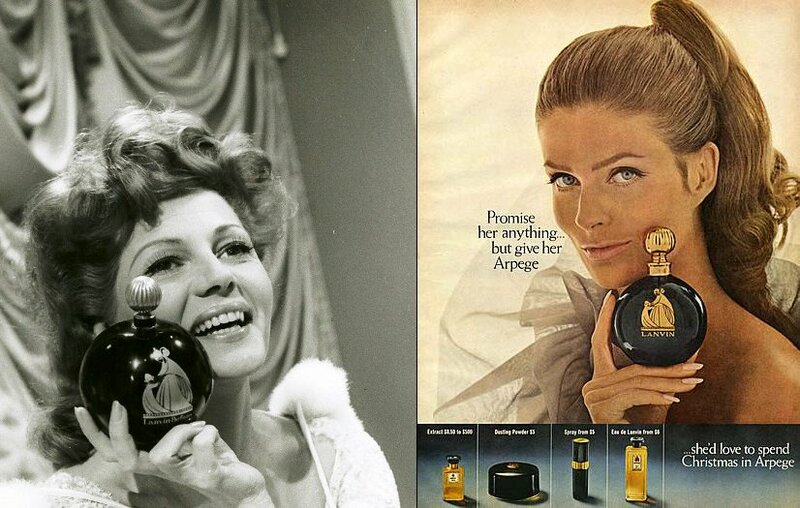 The iconic perfume was created by Andre Fraysse and launched in 1927.